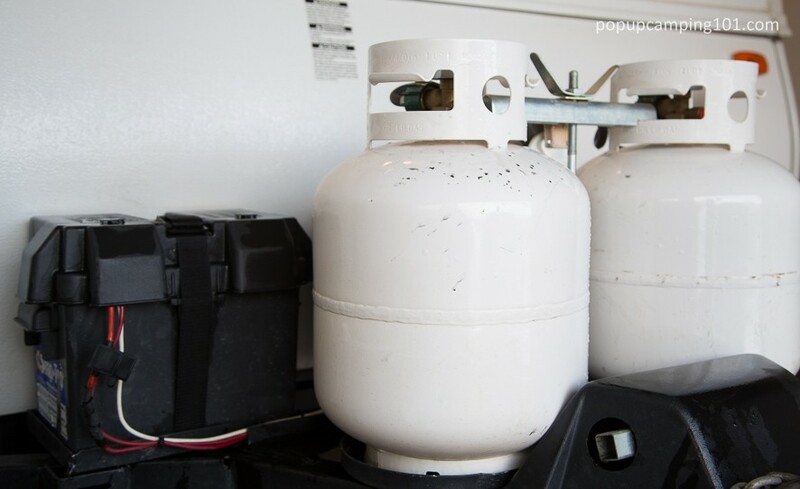 Dual propane tanks can be a nice convenience for all popup campers. 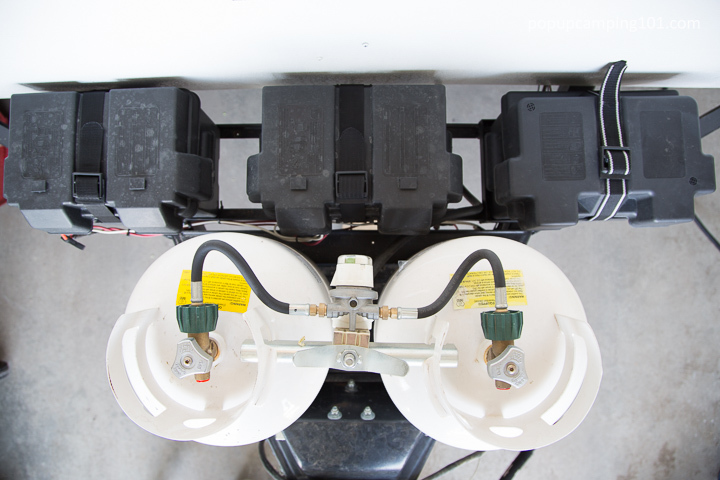 Even if you can complete a camping trip on just one tank, having two tanks with an automatic regulator allows you to not worry about filling up before you leave – as long as at least one tank is showing full. Two tanks can also be an absolute necessity when boondocking for longer periods of time. In the picture above, I have both tanks full and open. 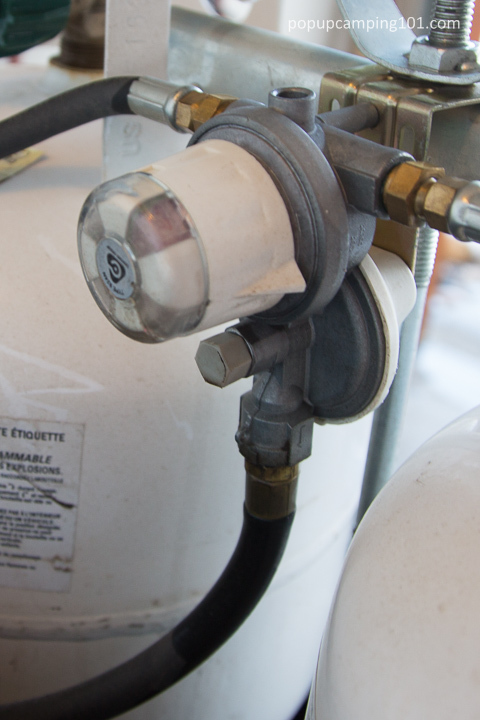 The regulator points to the tank on the right and the green indicator confirms that LP pressure exists (the tank isn’t empty). Once the tank on the right runs out, the regulator automatically switches to the second tank and changes the indicator to red. 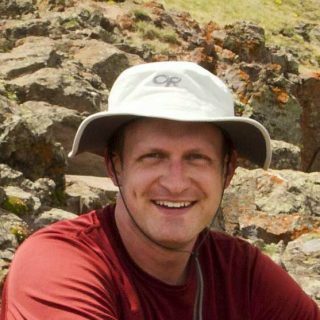 As I mentioned above, this convenience can apply to short term campers as well. I used to fill up my single tank before each trip. Otherwise, it was difficult to estimate how much propane I might have left. Now I can leave for each trip confident, knowing that at least one of my tanks is full, and filling both when the indicator goes red. Here is my completed setup with the tool box on the right, dual 12v batteries on the left, and dual propane (LP) tanks in front. 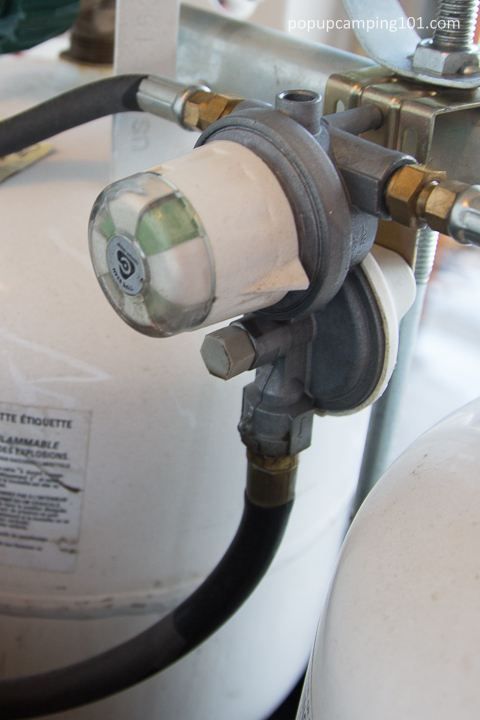 Some trailer tongues have difficulty accommodating two propane (LP) tanks. Your dealer might have some creative options for you, but here is one: use a 30-lb tank. Most bunk-end slides will clear the height of this larger tank, which provides you with 50% extra propane. It also lessens the tongue weight placed on your tow vehicle.